April 1, 2019 A total of 640 properties sold in the Victoria Real Estate Board region this March, 7 per cent fewer than the 688 properties sold in March 2018 but a 52 per cent increase from February 2019. Sales of condominiums were down 7.1 per cent from March 2018 with 196 units sold but were up from February 2019 by 51.9 per cent. Sales of single family homes were down 4.5 per cent from March 2018 with 322 sold. "We continue to see a somewhat static local real estate market through March," says Victoria Real Estate Board President Cheryl Woolley. "Like in February, REALTORS® have been busy showing properties and discussing strategy with buyers and sellers, while the sales numbers themselves continue to be relatively flat when compared with last year. These market conditions are not a surprise. Consumers continue to adjust to the B20 mortgage qualification rules and the long-term, low inventory of homes. The good news is we have seen a month-over-month increase of active listings on the market - though we remain well under the ten-year average of 3,403. "There were 2,435 active listings for sale on the Victoria Real Estate Board Multiple Listing Service® at the end of March 2019, an increase of 14.3 per cent compared to the month of February and a 37.9 per cent increase from the 1,766 active listings for sale at the end of March 2018.The Multiple Listing Service® Home Price Index benchmark value for a single family home in the Victoria Core in March 2018 was $867,900. The benchmark value for the same home in March 2019 decreased by 2.8 per cent to $843,600, lower than February's value of $845,900. The MLS® HPI benchmark value for a condominium in the Victoria Core area in March 2018 was $501,500, while the benchmark value for the same condominium in March 2019 increased by 1.0 per cent to $506,500, slightly higher than February's value of $502,800. "The mortgage stress test continues to put further pressure on lower-priced properties by reducing the borrowing power of many prospective buyers and pushing a lot of buyers into an already compressed price bracket with limited inventory," adds President Woolley. "This means that even though sales are slower than the peak in 2016, many buyers can expect to encounter multiple offer situations as competition increases at lower price points. The federal government recently announced a CMHC shared-equity mortgage program, which aims to reduce first time home buyer payments. However, this program applies only to properties $480,000 or less, and will put even more pressure on lower priced homes and condominiums. These current market dynamics make it increasingly important for our region to continue to find ways to create more affordable housing options to avoid price pressure on the lower-priced properties. 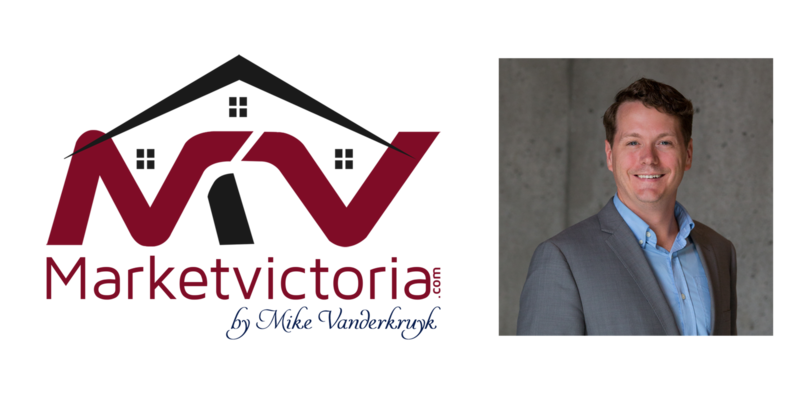 "About the Victoria Real Estate Board - Founded in 1921, the Victoria Real Estate Board is a key player in the development of standards and innovative programs to enhance the professionalism of Realtors. The Victoria Real Estate Board represents 1,379 local Realtors. If you are thinking about buying or selling a home, connect with your local Realtor for detailed information on the Victoria and area housing market.